The headwaters of the Anderson River are to the north of Great Bear Lake, in Canada's Northwest Territories. 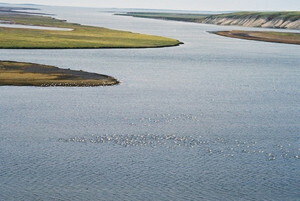 Flowing north and west, the Anderson River empties into the Arctic Ocean in Liverpool Bay. 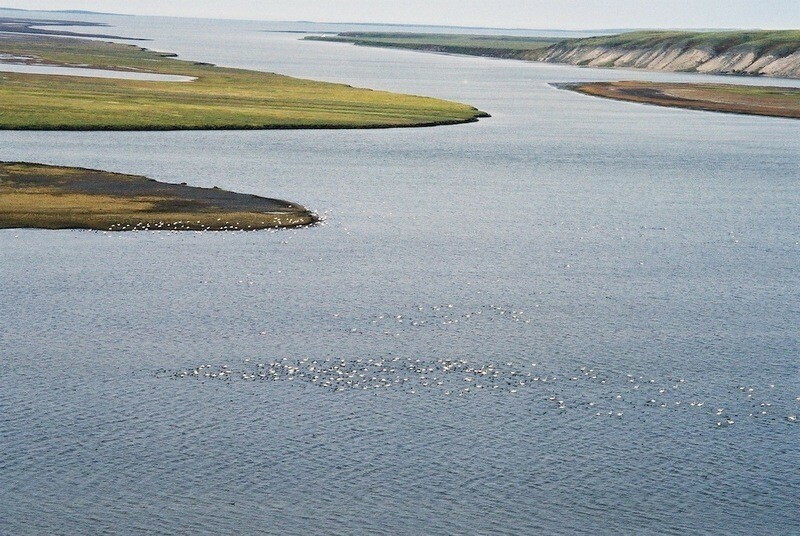 The traditional Inuvialuit name for the Anderson River is Kuuk, which means 'River' in Inuvialuktun. The Dene who lived to the south of the Inuvialuit called the river Beghulatesse, perhaps meaning 'no meat', and it was also called Inconnu, a type of fish. The Hudson Bay Company gave it its present name, Anderson River, after James Anderson who was a Chief Factor of the HBC. Caribou, muskox, moose, and grizzly bears frequent sections of the river. The Bluenose Caribou Herd migrates through this area in July. Fur-bearers, such as fox, marten, wolf, and wolverine, historically attracted trappers to this area. Migratory birds, waterfowl, and raptors are common and varied throughout the river system. Many of these birds nest in the delta at the mouth of the river. Liverpool Bay and the Arctic Ocean beyond the bay supports resident populations of bearded and ringed seals, and beluga and bowhead whales inhabit those waters in summer. Many Inuvialuit still travel to the Anderson River area. William Nasogaluak recalls: "I didn’t grow up in the [Anderson River] area. But I did go hunting in that area. I used to go up to Anderson River and hunt geese in the springtime and then, then look around a bit. But mostly just hunting geese. You will see old log cabins and things like that. People did live around there,[not so] long ago". People know about Fort Anderson from the stories of their elders. Fred Wolki commented: "Well, sometime my dad tell me a little bit about it [Fort Anderson] because he keep hearing from people that are living around Stanton area and all that. But then again, I only hear it from stories, huh? That there was a Fort Anderson. They always called [the river] “Kuuk"".